I don't think enough can be said about Tikal, Peten, Guatemala. It's history alone would take years to fully understand, and then a lot of it is speculation at best. Tikal seems to be in the middle of no where. Jungle no where. I was told the reason Tikal flourished was the presence of flint in the area to make weapons. Makes sense. 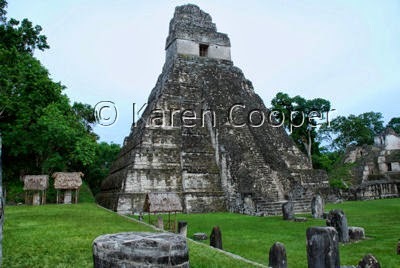 There are several archaeological sites surrounding Tikal. The most recent discovery being in the el Mirador Basin that is being excavated and restored now. The tallest Mayan building is here and the restoration project is being run by Dr. Richard Hansen. I am still letting all of this seep into my being. Truly life changing images and experiences.